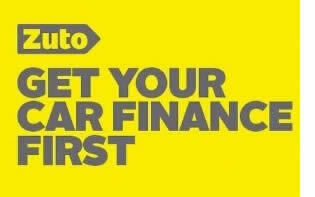 buy and finance your car in Barnsley. If you are uncertain of your credit history / back ground, ZUTO is the place to start your search for a great deal on financing your next car with us. Simply type ZUTO into a Google search and they will supply you with an easy to understand form to fill in, this will supply you with a free credit check and your first steps on to the finance ladder to purchase your new car from us. On approval from ZUTO, or their recommended broker, simply instruct zuto to your interest in our vehicle, supply details of the vehicle and leave entirely to ZUTO. Second option is Close Motor Finance, they are one of the best Prime only lenders, that match the best deals on the market with rates from as low as 3.99% Flat rate. If you feel that you have a strong credit score / Good credit history with no ccj / defaults etc, then we can complete a online Proposal form in for you here at the dealership and get you an instant answer and approval in minutes. No deposit low rate finance available on selected vehicles, If you are interested in any of our vehicles and would like further help, please don't hesitate to contact us.